Iguana Sell Pens | ST Dupont Apocalypse Limited Edition Lighter! Inspired by the Maya calendar which ends in December 2012, ST Dupont has launched, together with the limited edition fountain pen, an amazing solid bronze lighter. 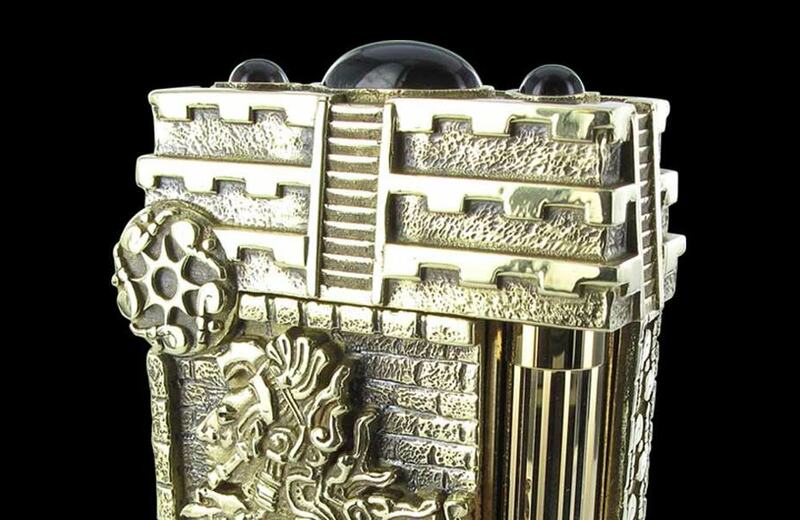 The ST Dupont Apocalypse limited edition lighter is a truly unique item made of bronze and completely gold plated. The many details on this incredible piece are chosen to honour the Maya culture. This civilization dates back to 2000 B.C. and is well known for its progress in Mathematics and Astronomy. These people were amazed by the immensity of the universe and went to great lengths to understand its mysteries. The pen is hand-crafted and it’s design is the work of Philippe Tournaire. On the lighter’s body we can find an image of Quetzalcoatl, one of the most important Mesoamerican gods, along with jungle patterns and designs of Maya architecture. The lighter’s lid has the form of a Maya pyramid, on of the mos emblematic images of this ancient culture. The pyramids were made for ritual and ceremonial purposes. 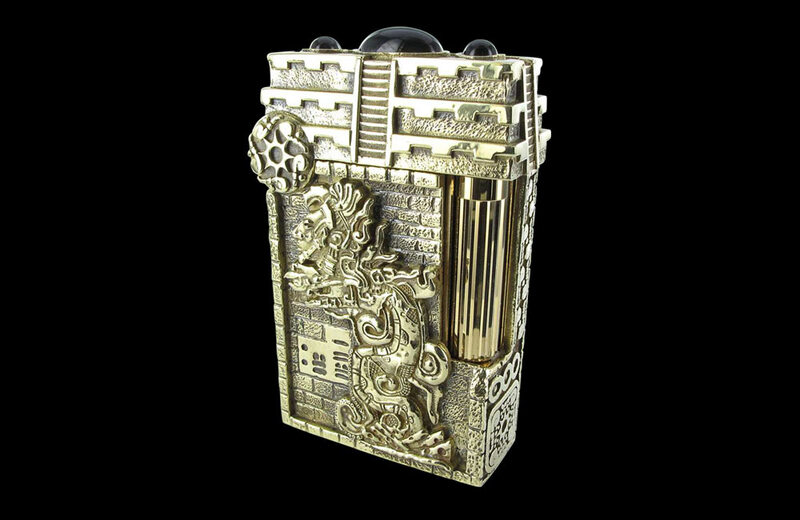 One of the most beautiful details on this lighter are the three obsidian cabochons. The obsidian stone was used by the Maya in religious ceremonies and sacrifices. These three stones give the lighter an even more unique appearance. But the lighter has yet another surprise for us! On the back there’s a large silver colored “Maya Calendar” which can be turned around! 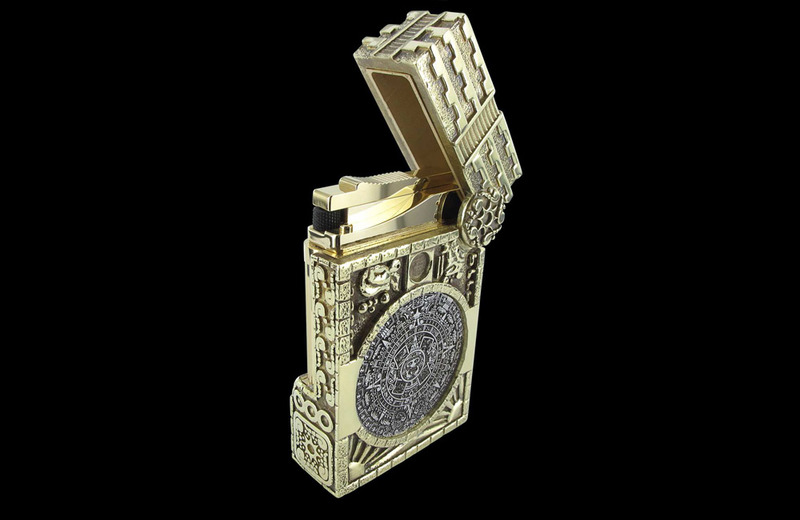 This amazing ST Dupont lighter is available for pre-order at Iguana Sell. Buy one now before its too late! New Montegrappa Parola Pens!Montegrappa Micra Pens – Small and Colorful! !